It would be to no one’s surprise who are a regular on www.islandstats.com including some within other media, of what the Bermuda Carifta Swimmers were able to accomplish in their Age Group event in Jamaica. The group had the following staggering numbers 166 Individual Swims, 89 Personal Bests, 11 Gold Medals, 12 Silver Medals and 9 Bronze Medals for a total of 32 Medals in total. 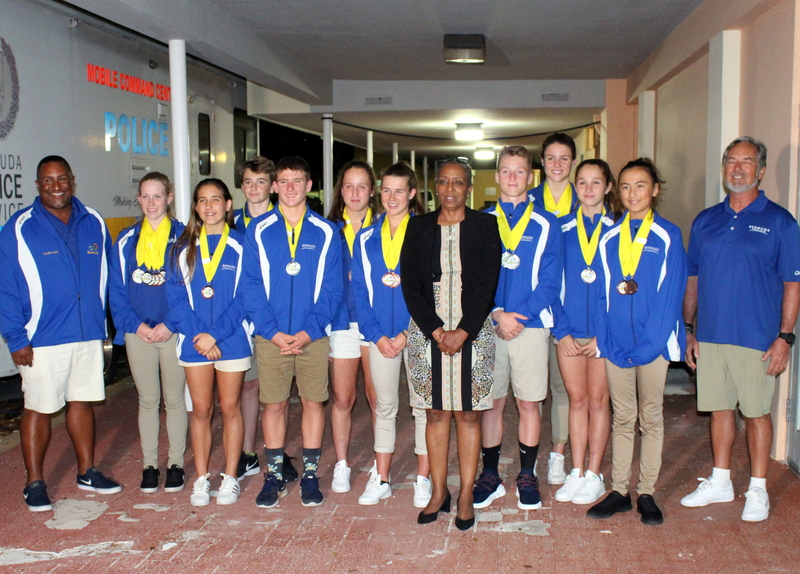 In the Individual Events, Elan Daley, won all 11 Gold Medals and she also broke Four Carifta Swimming Championship Records along the way, while Logan Watson-Brown won 3 of the Silver Medals, with newcomer Kai Legband winning 2 Silver Medals. Madelyn Moore captured 2 Bronze Medals to go along with her Silver.